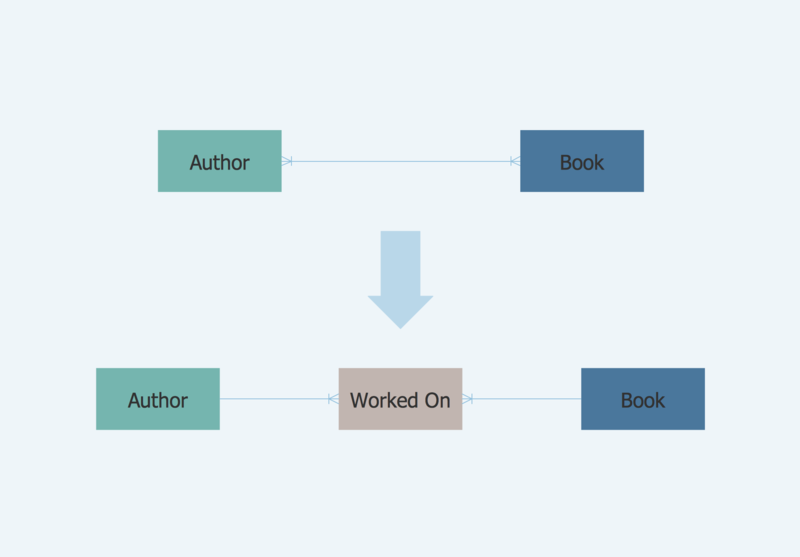 The entity–relationship (ER) model is a data model that lets graphically represent the information system and depict the relationships between people, objects, concepts, places, and events within a given system. The ER model allows visually describe the data, information aspects and processes of a business domain and uses as the main components: the entities with attributes (properties) to represent the business data and the relationships to visualize the dependencies and requirements between them. As for the Cloud computing, it is also convenient to use the ER Diagram for Cloud computing representation and description the Cloud computing architecture. Design with pleasure your Cloud diagrams in ConceptDraw DIAGRAM using the extensive tools of the Cloud Computing Diagrams solution from the Computers and Network area of ConceptDraw Solution Park. First of all, the Cloud Computing Diagrams Solution provides 4 libraries with a number of predesigned vector objects for cloud computing. All they are accurate, colorful and attractive, so it is the best choice for your diagrams! You can drag any desired of them to your diagram, combine them, join to groups to then rotate, move and resize them together as a single object. The libraries of objects are surely very useful, but Cloud Computing Diagrams Solution provides also the large set of ready-to use samples. 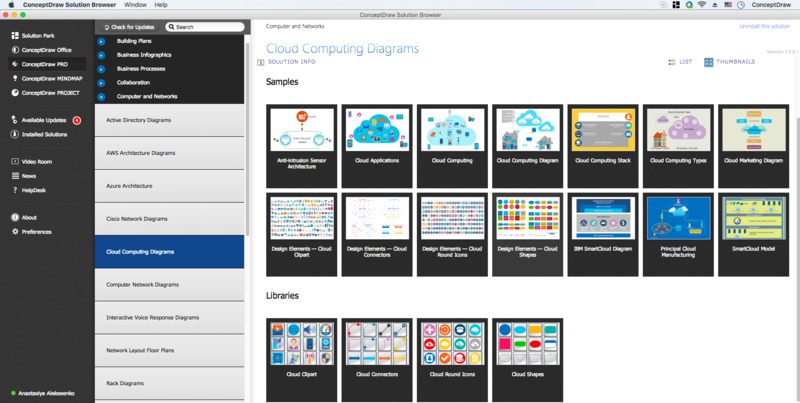 Open the ConceptDraw STORE to see the offered diversity of Cloud Computing diagrams examples and samples. This sample was created in ConceptDraw DIAGRAM using the objects from the libraries of Cloud Computing Diagrams Solution and shows the ER Diagram for Cloud Computing. Use the Cloud Computing Diagrams Solution for ConceptDraw DIAGRAM software to create your own professional looking Cloud Computing diagrams and schemes fast, easy and effective, and then successfully use them. All source documents are vector graphic documents. 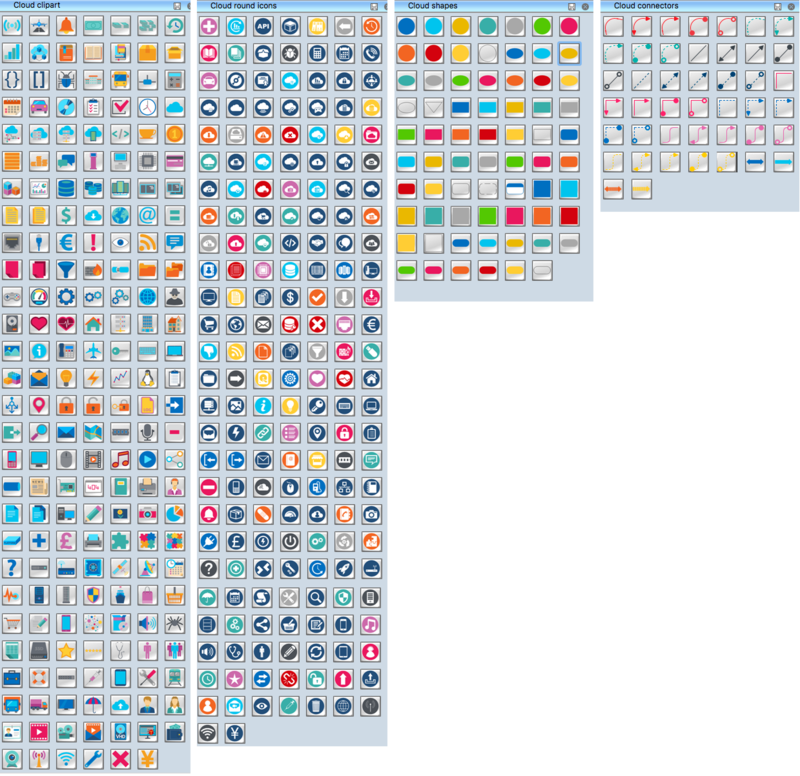 They are available for reviewing, modifying, or converting to a variety of formats (PDF file, MS PowerPoint, MS Visio, and many other graphic formats) from the ConceptDraw STORE. 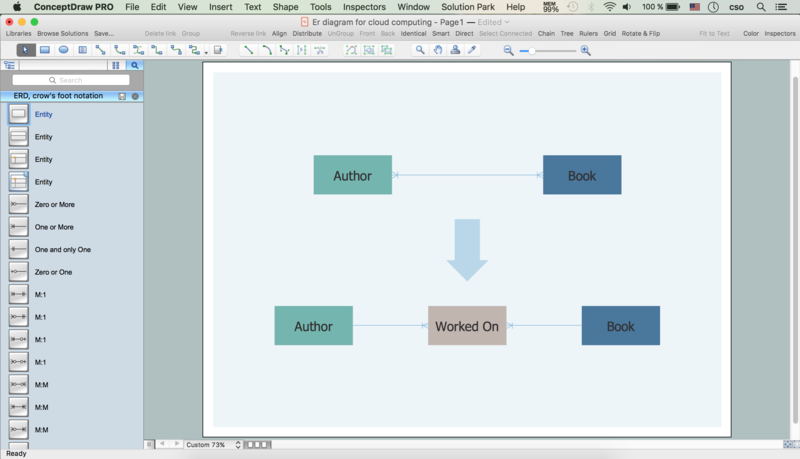 The Cloud Computing Diagrams Solution is available for all ConceptDraw DIAGRAM users.